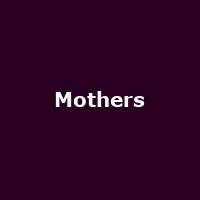 Mothers are an American experimental folk band from Georgia, formed in 2013 by singer/ guitarist, Kristine Leschper - originally as a solo project. The band features Matthew Anderegg - drums, Drew Kirby - guitar and Chris Goggins - bass. They released their debut album, "When You Walk A Long Distance You Are Tired" in 2016, plus 2018's: "Render Another Ugly Method".